Want to get more feedback by collecting reviews? For free? Here are 5 ways to invite your customers to leave reviews so that you can gather even more valuable feedback. When you speak with your customers on the phone or chat with them online, let them know you’d like them to leave a review on Trustpilot. You’ve probably been asked to leave a review when you visited a restaurant or a tourist destination. They ask you because it works. In our experience, there’s often a large pool of customers who don’t think about leaving reviews. Sometimes all it takes to activate these customers is a polite request. Invitations make it easy for people to leave a review, and remind them that their opinions matter. Review invitation emails that are short, and keep things simple and on-topic are usually the most successful in getting customers to provide feedback about their buying experiences. Avoid the temptation to include marketing material in the email. People don’t respond well to “please leave a review and please buy this TV”, and in some jurisdictions it’s simply not allowed. Tips for small companies: If you don’t have thousands of customers, use that to your advantage. Tailor your invitations. Make them personal. People will leave a review because they care about you! Tips for all companies: Experiment and try out different wording in your emails. See what works best. Please remember to stay within our Company Guidelines (for US, or UK) and keep the language neutral. To stay transparent, companies should let our review community know if they're offering incentives for reviews. They can do this by sending our Compliance Team an email (compliance@trustpilot.com). Think it’s too much trouble to email everyone? Make it easy for yourself. 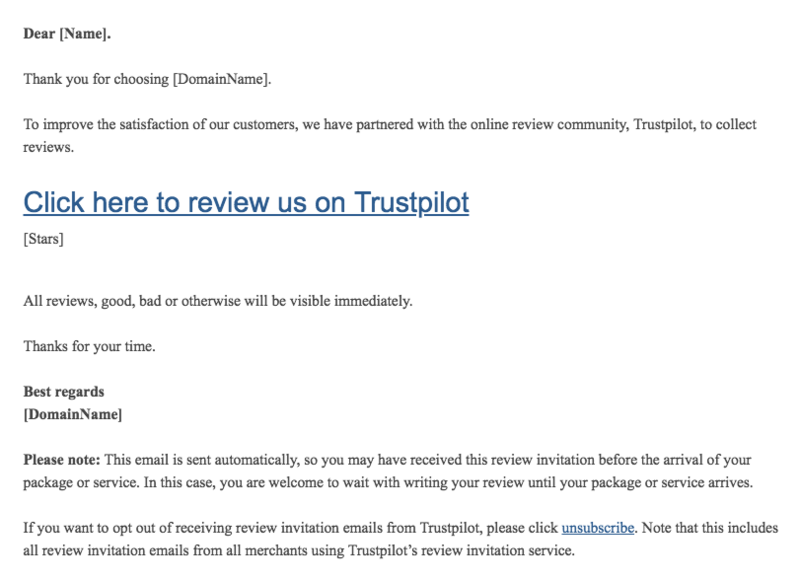 Insert a link to your evaluation page on Trustpilot in all your emails, and politely invite people to leave a review. 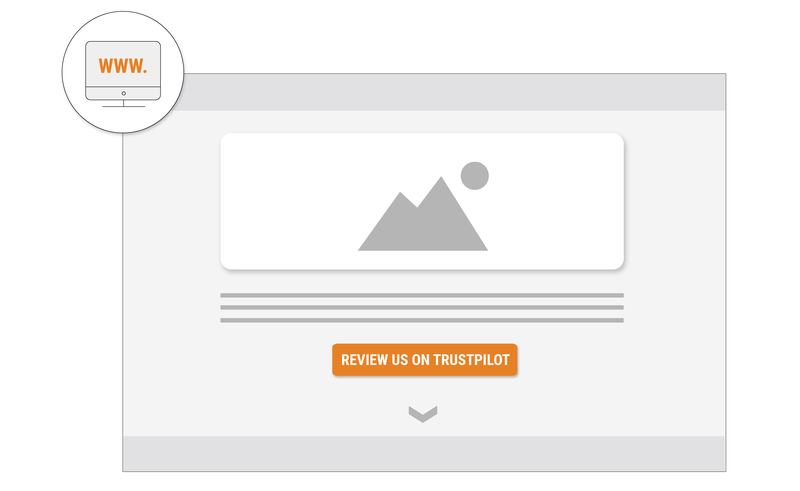 You can otherwise embed a link on your website that sends customers directly to your company’s profile page on Trustpilot — where they can leave a review. 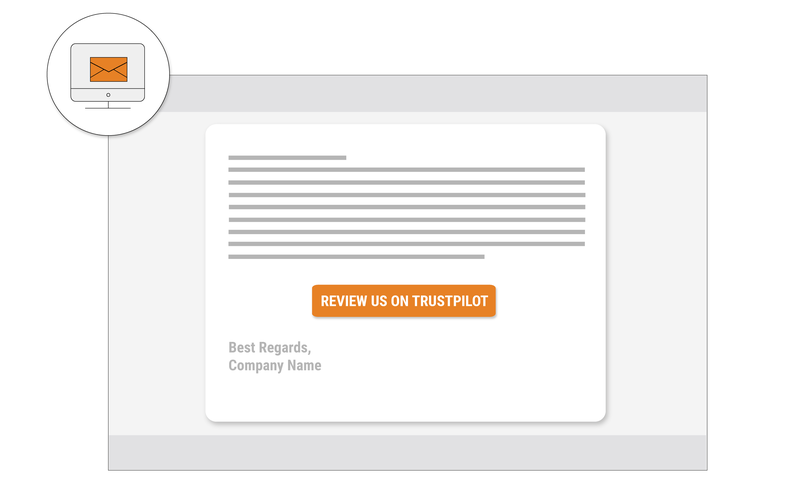 Let people know you're "Asking for reviews"
To keep things transparent, we ask that you let people know if you're actively inviting your customers to write reviews on Trustpilot. You can change the invitation status shown on your company profile page from "Not inviting" to "Asking for reviews" by logging into your Business Account, selecting Get Reviews, then Basic Invitations, and checking the box Are you inviting?. 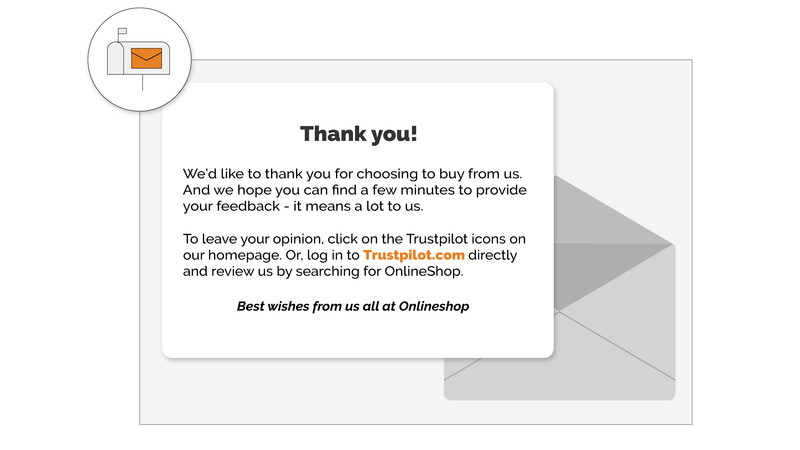 Companies using Trustpilot's automated invitation services may find that their status has been updated automatically. For more information, try reading our article on inviting customers with manual review invitations.